It's the short pieces in this marvellous collection that are my favourite. Valentino has once again grasped the hearts and minds of the fashion world. Look one reminds of Blair Waldorfs dress in season five of Gossip as she goes to tell Chuck ,'he's the one'- one very classy pattern in my opinion especially the colours. The second dress also bears a resemblance but this time reminds me of the Dolce and Gabbana AW13 collection which I love it, such beautiful embellishment. My final two favourites are just simply to die for. 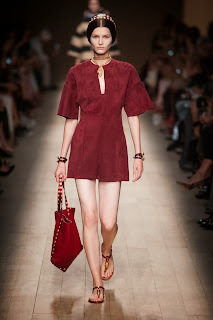 I love see this seasons trends on next seasons catwalk such as this gorgeous deep red. Every look is phenomenal. Rara and smart casual just looks so cute. 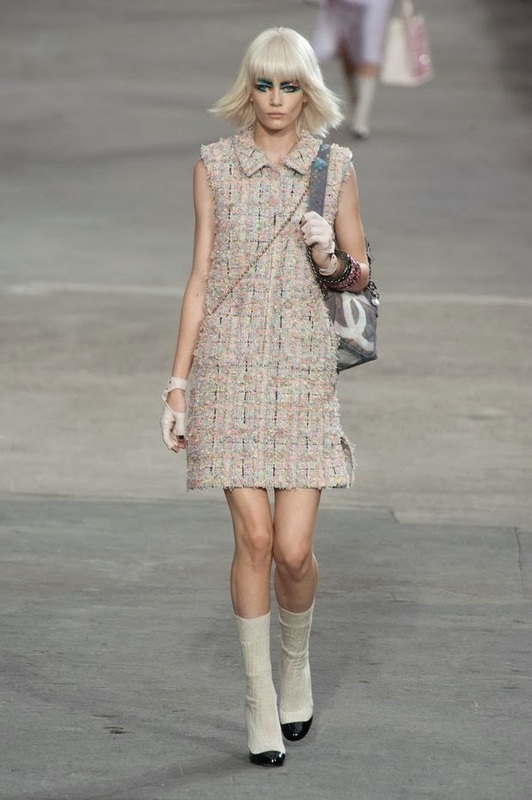 90 looks for Chanel ... Karl Lagerfeld, the King of Fashion strikes again. This catwalk was beyond impressive and I love how light and summery the colours really are. 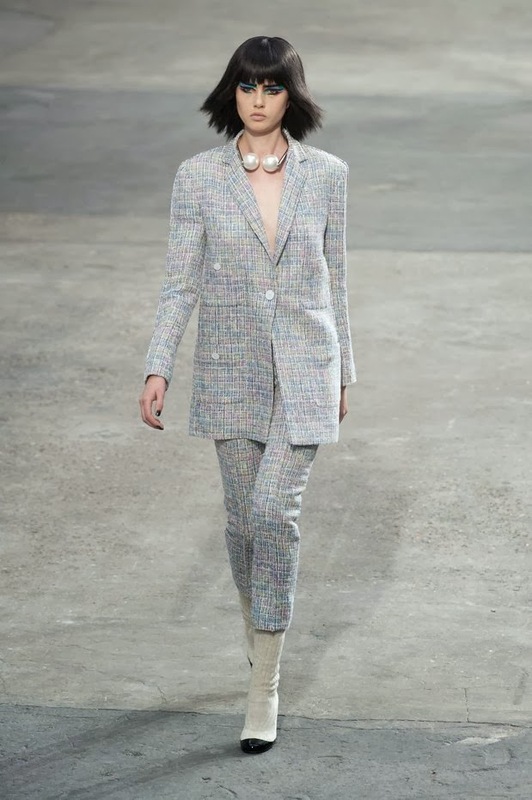 There is a very doll like vibe to this collection which is feminine, pretty and cute yet still provokes sophistication whilst having fun with your wardrobe. Chanel ... needs little explanation because Karl Lagerfeld perfects the collection to its finest, season after season.